Going to the Sun Marketing Associates is based in Whitefish, Montana, with a satellite office in upstate New York. We provide comprehensive and innovative marketing, sales and financial solutions to enterprises which are emerging onto the marketplace or who are already established, but require guidance and expertise to take them to the next level of achievement and profitability. As a full-service agency, we can provide web design and application development, e-commerce, print advertising and collateral, outdoor, radio, and television deliverables - on time, on budget and always on brand. Let GTTS Marketing help you build your brand. 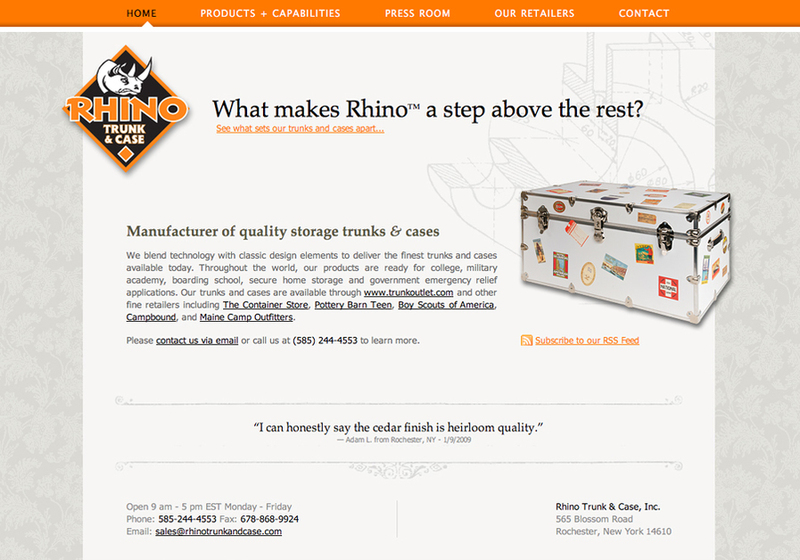 Homepage for Rhino Trunk & Case, a Rochester NY client.